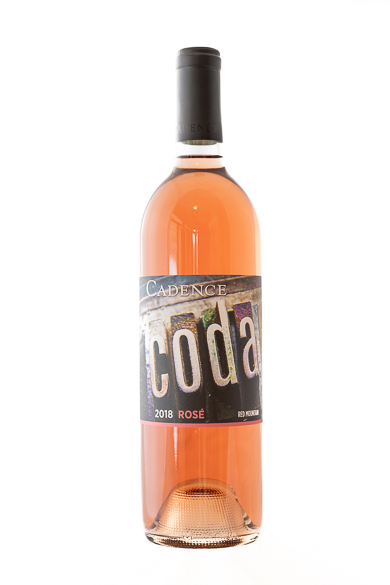 coda rosé, n. a. A rubato Coda, stealing early from the vintage, b. Summer in a bottle. A beautiful, expressive nose of white peaches and hints of watermelon, all dusted in powdered sugar. Soft and generous palate with enough leavening acidity to keep all the gorgeous fruit fresh and appealing. The wine gets serious on the back half, finishing with gusto and intensity.